Location: Mons, province of Hainaut, Belgium. Notes: Havré Castle (French: Château d'Havré) is a ruined castle in the village of Havré in the town of Mons, province of Hainaut, Belgium.The origins of the castle can be only traced back to the year 1226, even the counts of Flanders and Hainaut have had control over Havré since the 11th century. In 1255 Ida of Mons was married to Engelbert d'Enghien. 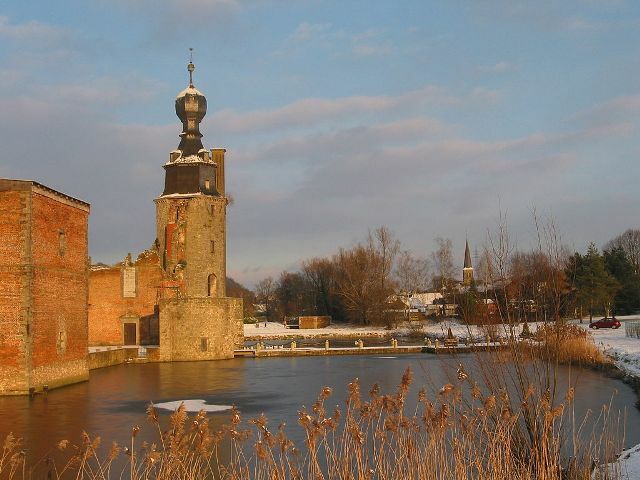 Their descendants keep Havré Castle to the year 1423. Then Gérard d'Enghien passes the Castle on to Christophe d'Harcourt. Through marriage, the castle came into the possession of the families Dunan, Longeville and Croy.